Another Sunday shut away in my dingy office brings me another step towards better understanding the statistics of Ironman performance and Kona qualification. 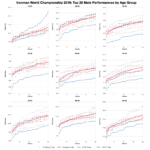 A small step, an actual model relating race, conditions, gender, age and performance remains a distant goal, but for a subsection of Ironman athletes, those who qualified for Kona, I was able to relate and compare their performances at the World Championship with their other Ironman races. What does that mean? We can examine the typical differences between performance at the World Championship and performance in other Ironman races on the circuit. At the very least it gives those who qualify an idea of how their qualification performance compares with their Championship performance. 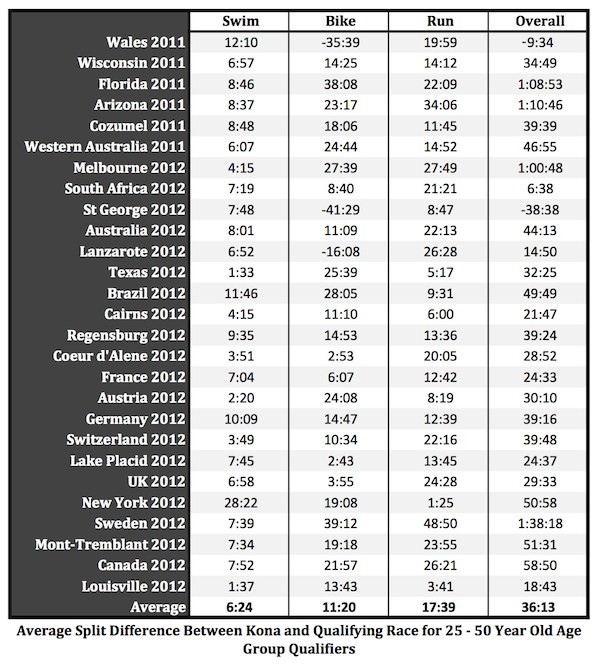 Positive numbers represent faster time, for example the swim time of a qualifier at Ironman Wales in 2011 was on average 13:06 faster than their swim time at Kona in 2012, whereas the bike time was on average 38:38 slower. 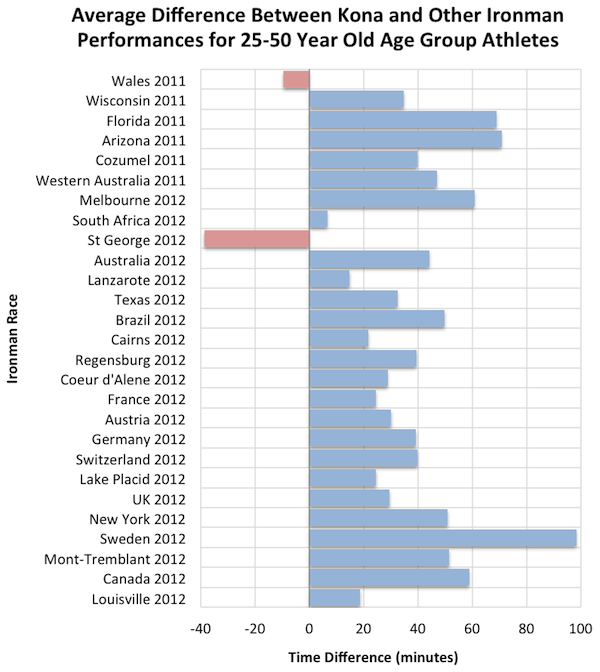 We can see that with a few exceptions qualifying athletes are typical faster outside of Kona. Not hugely surprising Hawaii is not the fastest race on the circuit and we could speculate as to how many athletes reach Hawaii in as good a condition as they did their qualifier. 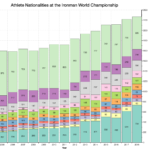 As usual it’s important to be aware of the limitations of this data: results are only from the 2012 qualifying period and only include full Ironman distance events (New Zealand is excluded for this reason). The matching of athletes was a labour intensive and imperfect process – also it was tedious – requiring me to attempt to hand match over 500 individuals that failed an automated match. The result is that I matched race results for roughly 85% of the Hawaii field, for each of these athletes I have matched all other Ironman performances found, not just their qualifying performance. 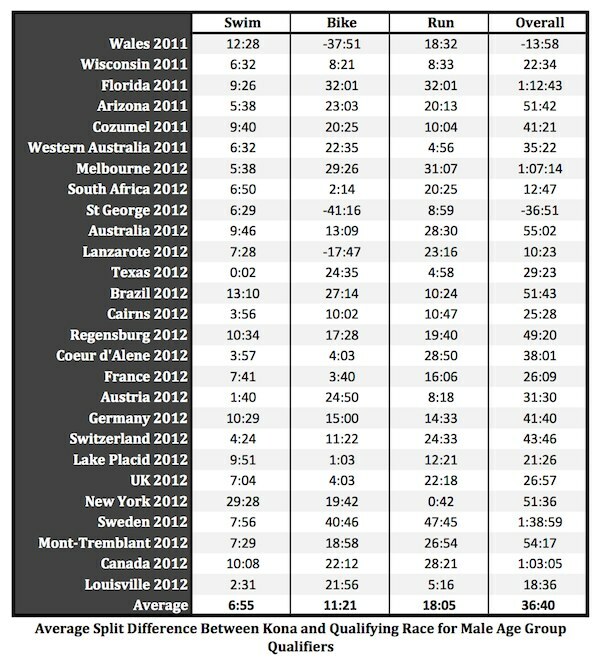 While considering the differences between time at Hawaii and time at other races should reduce the impact gender or age has on the data it doesn’t eliminate it – the overall chart above may hide some details. Unsurprisingly men and women show slightly different averages although the trend towards faster or slower times for a given race remains the same. 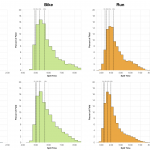 It appears men tend to see bigger gaps in run performance than women, but smaller gaps in bike performance. It’s worth noting that dividing into gender in this way reduces the pool of athletes considered for each race and should reduce our confidence when making predictions with these numbers. The affect is a tightening of the gap, often quite slight, but the narrowing of the age range has removed some outliers. Again drawing precise conclusions from one year of qualifiers won’t say too much. What might we be happy to conclude? That a typical age group qualifier can expect to swim between 5 to 10 minutes slower, bike 10 to 30 minutes slower and run 10 to 25 minutes slower in Hawaii. 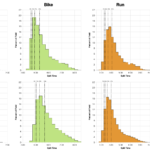 That male qualifiers tend to have the slower runs in Kona while women tend to have the slower bikes. 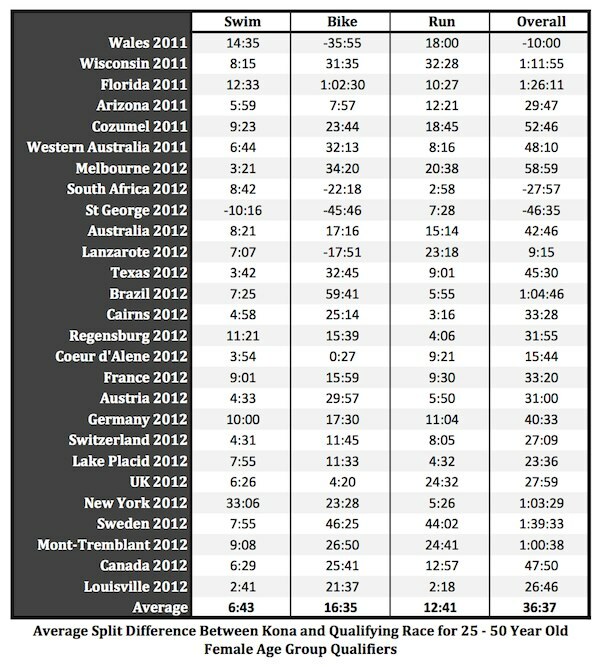 That few athletes perform faster in Hawaii – those racing at St George and Wales are the exception. 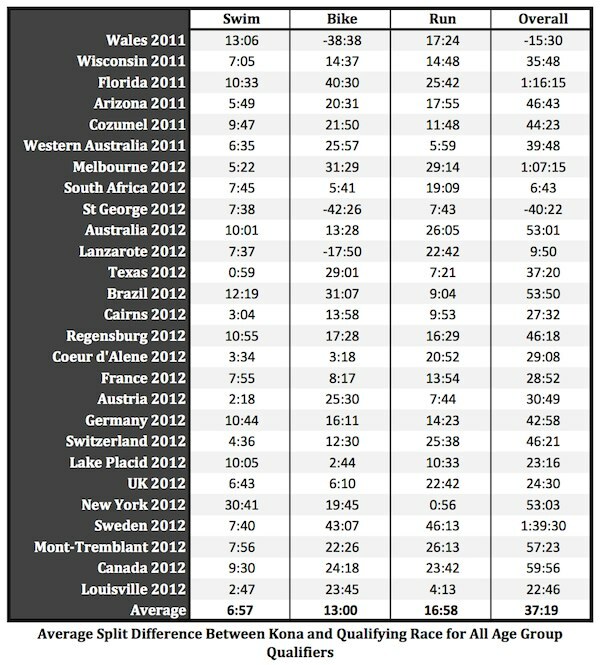 And that performances from the fastest races naturally see the biggest drop off when the athletes start in Kona. Nothing startling, but interesting to see numbers for this. These tables are the first products of the updates I’ve made to the Ironman results database, they’re the low hanging fruit, the easiest pieces of analysis to construct, although perhaps not the most informative. 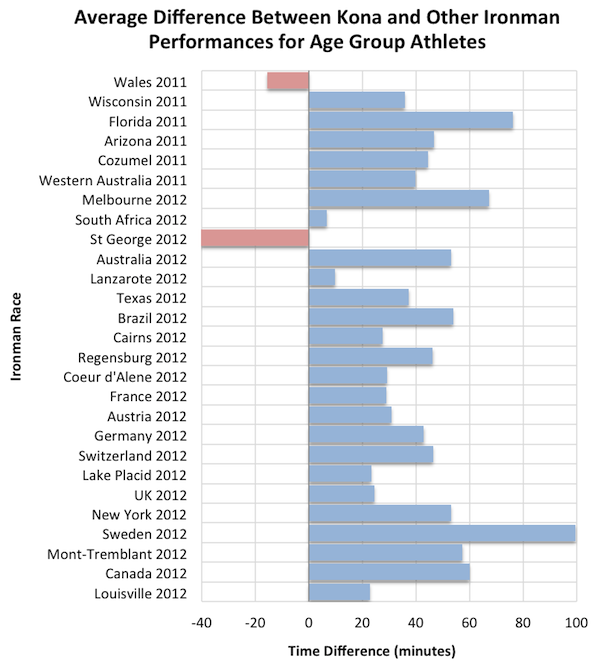 The biggest barrier to extending this further is the sheer volume of manual labour required to tidy and normalise the age group data, it limits the quality of the analysis in both breadth and depth. But relating athlete results does provide the potential to build a more accurate picture of comparable Ironman performances and requirements of qualification. At this point though, I wouldn’t hold your breath.